Calling all quilters! 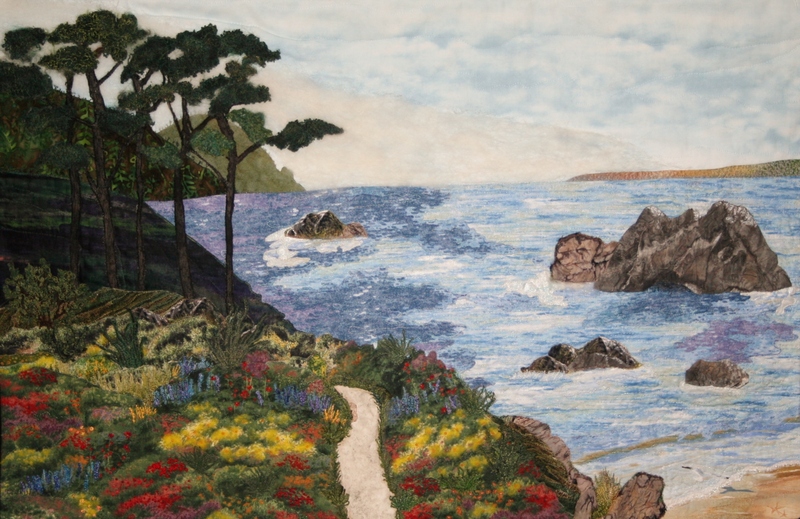 California State Parks commemorates its 150th anniversary with an online show of quilts. Inspired by the Quilter's Sew-Ciety of Redding, Inc., these quilts were created to honor our state parks by quilters throughout the state and elsewhere. Nearly 150 entries are posted in our quilt galleries. Many of these astoundingly beautiful works of art look like paintings. All of them reflect our parks through the eyes of many extremely talented quilters. Please join our effort to display 150 quilts for 150 years. Your skills and talents will help us commemorate our anniversary creatively, by highlighting artisan quilts for all to enjoy. WHAT TO DO: Create your own quilt inspired by a state park or parks. Sign up now by emailing 150th@parks.ca.gov with the word "Quilt" in the subject line. Be sure to include your name, contact information with email address, and which park inspires you to create your quilt. For a complete list of California state parks, see the drop-down list at http://www.parks.ca.gov/ParkIndex). Upon completion of your quilt, submit a photograph of your work for inclusion in our online quilt exhibit. WHEN TO DO IT: To be included in the online show, you must submit your photo and other materials by September 12, 2014. Visit the beautiful quilt gallery and submit your own. Help reach our goal of 150 quilts for 150 years! News flash! Live Quilt Show! Visit the Leland Stanford Mansion to view 57 beautiful art quilts made by members of the Quilter’s Sew-Ciety of Redding, Inc. These quilts, each depicting a state park, commemorate the 150th Anniversary of California State Parks. This unique quilt exhibit may be seen at the Stanford Mansion from September 3 to September 28th, Wednesdays through Sundays, from 10 am – 5 pm (the last hourly mansion tour starts at 4 p.m.). During Second Saturday Art Walk, meet the quilters! On Saturday, September 13, an appreciation ceremony at 2 p.m., followed by refreshments, will recognize all the quilters who contributed the 150 quilts featured in this California State Parks online quilt show. On Sunday, September 28, a special California State Parks “birthday” celebration will take place. The public is invited to attend the event, which will include the quilt tour, music, historic portrayals of the birth of California State Parks, birthday cake, and much more. Admission is FREE! Metered street parking is available in the area. For more information, call (916) 324-0575.